Imagine a restful night's sleep in the most relaxing place ever. 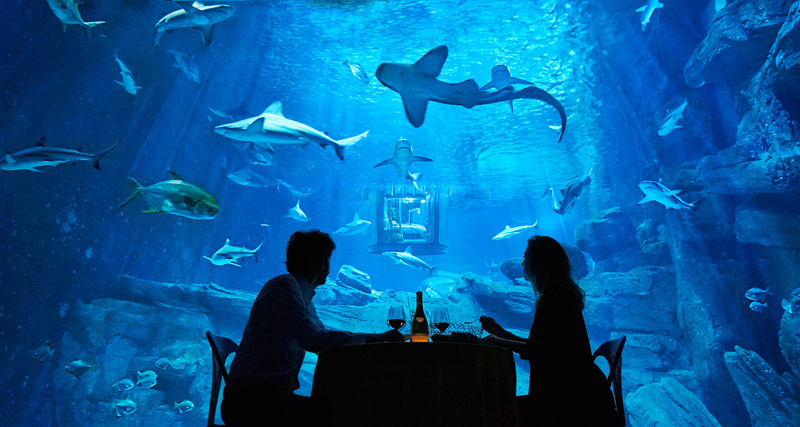 Now, imagine the opposite—trying to catch winks in the middle of a shark tank. 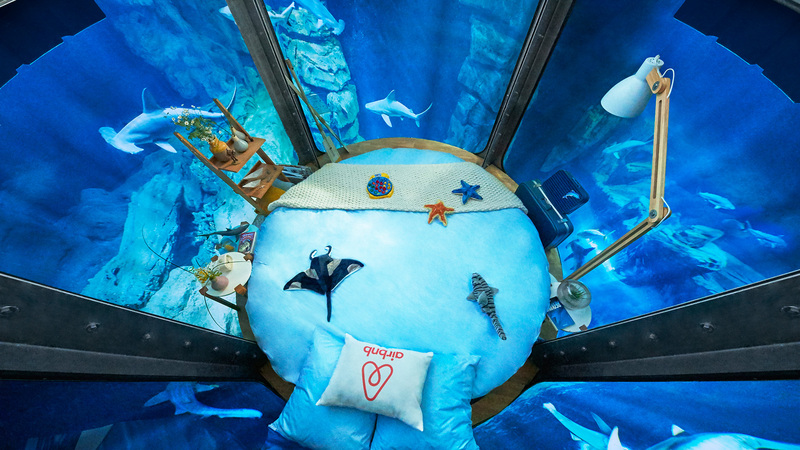 Airbnb is continuing its habit of setting up oddball accommodations to promote itself, with a cylindrical and glass-walled underwater bedroom at the Aquarium de Paris. 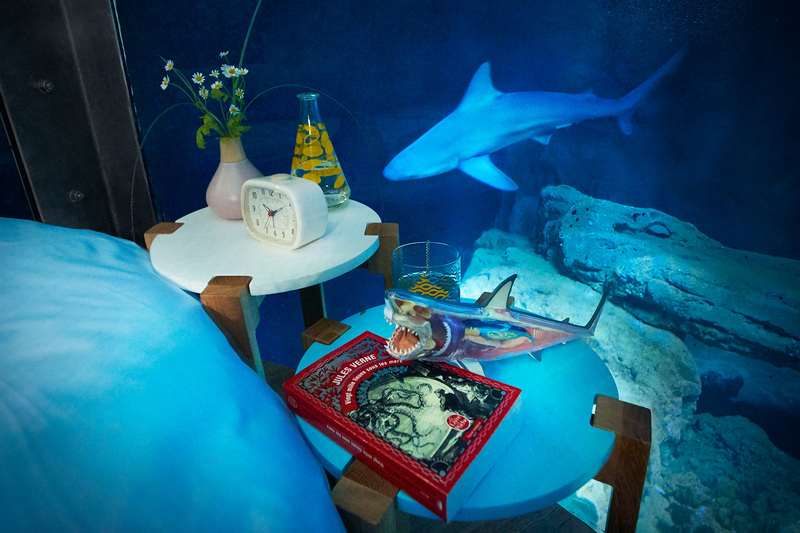 Say hello to a Night at the Shark Aquarium. 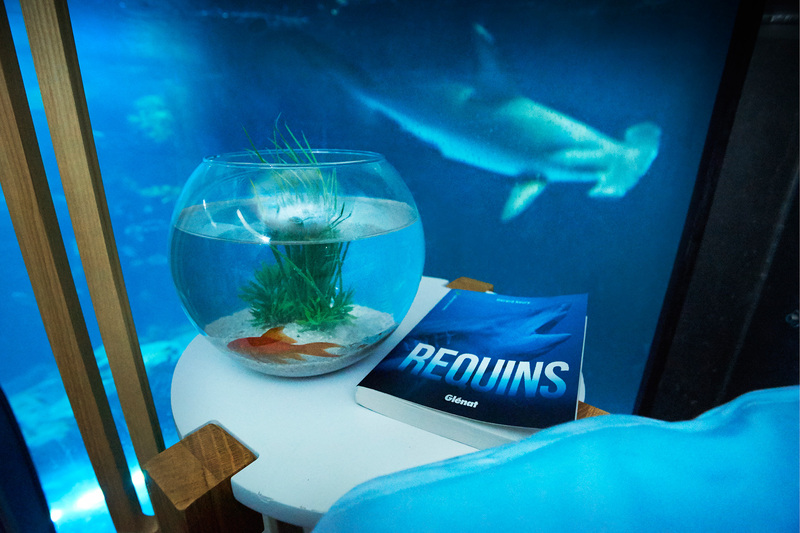 It's a more serene setting than it might first sound, with gorgeous 360-degree views of clear blue waters and 35 toothy roommates. 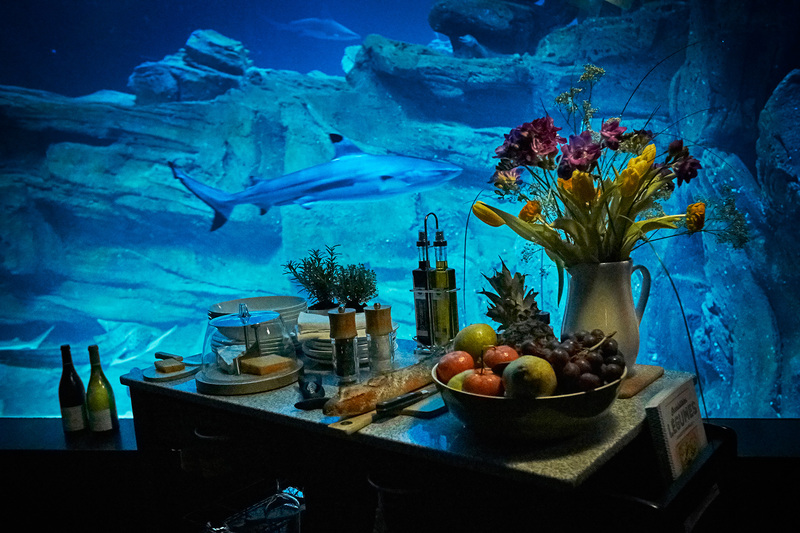 Staying there does seem like an amazing experience—though waking up, forgetting where you are, and seeing a hammerhead circling around you is perhaps less so. Contestants can enter to win one of three nights for themselves and a guest, with the room available April 11, 12 and 13. 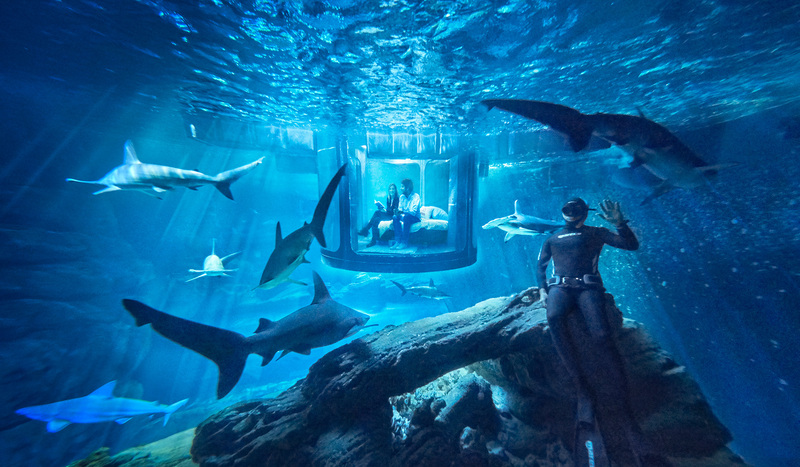 The prize also includes a guided tour of the aquarium, dinner and a show, with freediver and underwater photographer Fred Buyle joining the sharks in the water for the guests' entertainment. The hospitality company's collection of pop-up accommodations has also included environments like the Paris Catacombs, a ski lift above the French Alps, the interior of a commercial jet and, naturally, an IKEA store. (Other hosts, meanwhile, have built offerings like a recreation of a Van Gogh painting … and even an igloo). 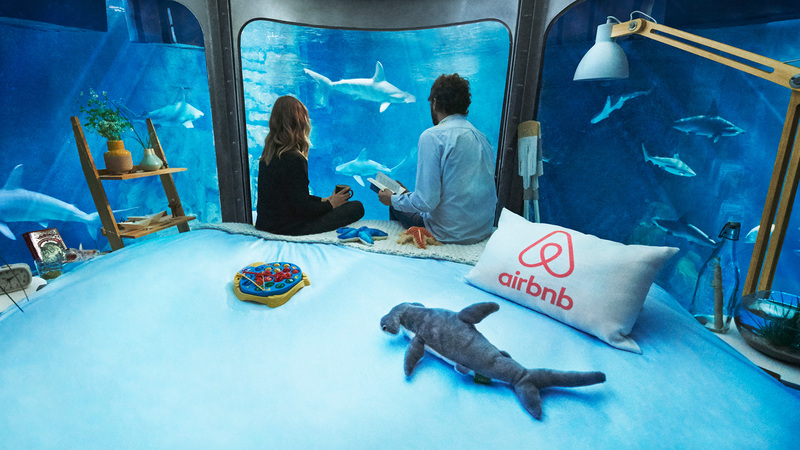 Also, as Airbnb reminds guests, don't watch Jaws beforehand.